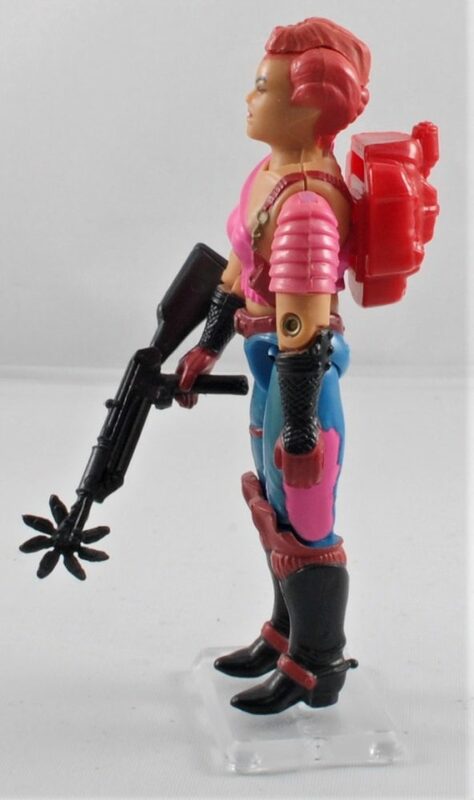 The Joe of the Week is Zarana V1. This figure was picked up as part of the Big Joe Haul 2018. I did own this figure as a kid. It was one of the few female figures I ever owned. This is the non earring version. Like her brother Zatran she had the color change gimmick, as a kid I thought that was a cool thing. 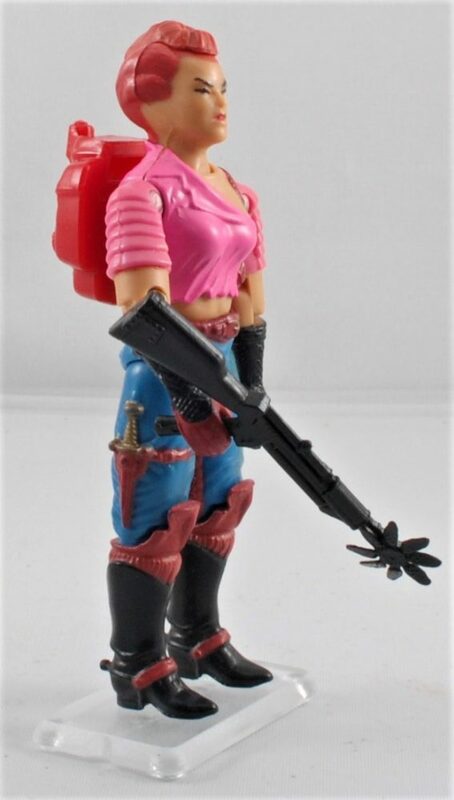 Like many of the 1986 figures She was featured heavily in G.I. Joe The Move. 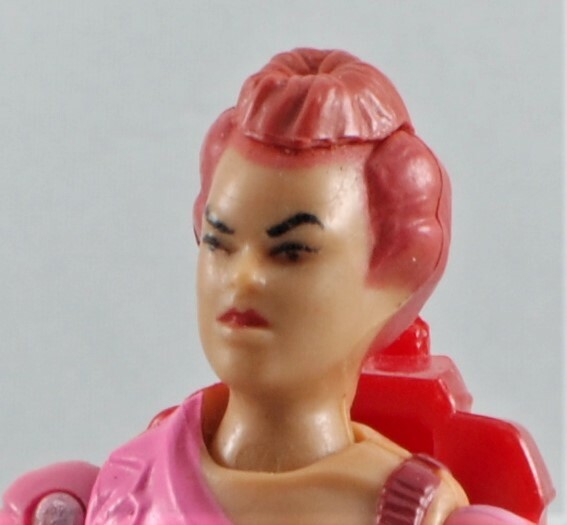 It is always hard to judge a Dreadnok figure. They tend to be part backwoods, part Mad Max. So I dont really judge them on their “fit”, within the Joe universe I just judge them on their aesthetics. For the most part Zarana is a solid figure. Her blue jeans and boots are nicely sculpted and her gloves are also good. I would have liked her shoulder armor to be a different color, a black or her glove color would have been good. I am ok with the pink shirt, but just think that pink did not need to dominate her color scheme. Probably the biggest issue I have with her is the 2 part head and face. It just comes across as scary. 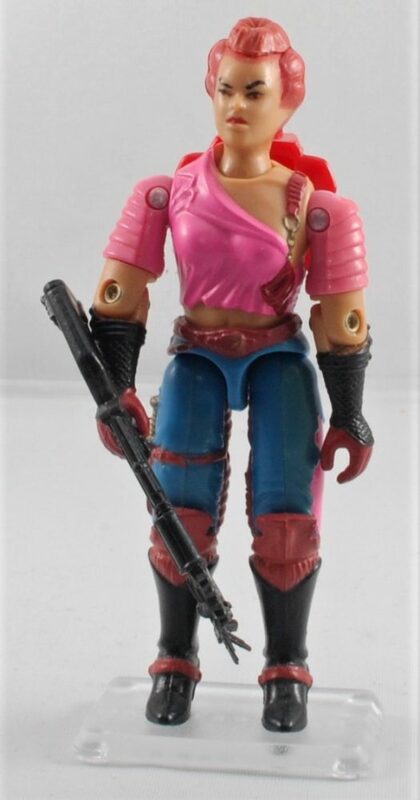 I know that there are many Joes that have the 2 part rubber head and look good, but in my opinion she is not one of them. Her accessories are adequate, but I am still a fan of the Noks actually having guns and not just crazy tools. So what is your opinion on Zarana? Which head sculpt is better with or without earrings?